I think there are a few important things to know when it comes to buying & applying make-up. A lot of the time make-up can go completely WRONG if you don't know how to do it correctly. Even my make-up isn't perfect, and I have spent the last couple of years researching/practising and trying new techniques and products. I thought I would share my thoughts on what I believe to be essentials for the Perfect make-up! I can't stress how important it is to blend your make-up. To a lot of people reading this that seems common-sense but I see girls time and time again who haven't blended their make-up. Wether it be foundation, powder, bronzer/blush/highlighter or eyeshadows, absolutely EVERYTHING needs to be blended. It is such a key factor is flawless make-up. 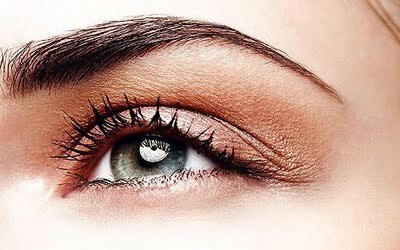 If you don't blend you will be left with clogged skin, patches, harsh colours and the dreaded foundation line around the jaw. Drag Queen is NOT a cool look ladies. When I first started getting into beauty and taking a real interest in make-up I thought brushes weren't essential at all and a complete waste of money. I used to apply all make-up with my fingers. (Even Eyeshadow..) .. When i look back to pictures of myself before i used brushes i just think *what was i thinking*. Brushes make such a HUGE difference to the application of make-up. I never used to believe it but trust me they work. They make everything smoother, more precise and give your whole make-up a more professional finish. You don't even need to spend a fortune on them. I personally own a lot of MAC brushes now but only because i've been collecting them over the past couple of years. 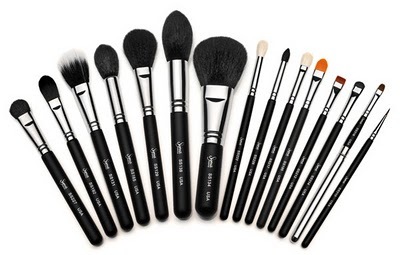 I have recently just ordered some Sigma brushes from www.lovemakeup.co.uk and they are meant to be even better than MAC for half the price so if you don't have any brushes and a lot of money to spend it might be worth checking those out. This may seem like I'm stating the obvious but it really is important to ask a professional. It is sooooo easy to end up with an orange or casper the ghost style pale face, blusher that looks like a clown or eyeshadow that is far too dark if you don't ask someone what looks best on your skin. It is so easy to go into a local department store such as Debenhams, HOF, John Lewis, Selfridges and ask the girls behind the make-up counters what suits you. That's what their there for after all. The girls in them stores used to intimidate me a bit because theres a stereotype surrounding them that they can be stuck-up and snobby but a lot of the time that isn't true and they will be more than happy to help. Anyway, hope some of this advice was useful. Do you have any Top Beauty Tips??!! I like how your first ever post was beauty tips! I totally started off the SAME regarding never using brushes.. its strange looking back! And I committed SO many makeup sins!